In February 2017, CIFOR’s ASFCC organized a training workshop on aspects of REDD+ benefit sharing and safeguards with the FCPF REDD+ Readiness project, CliPAD-GIZ and the REDD+ office. During that workshop it was agreed that a further workshop would be organized for the updating of the the country profile “The context of REDD+: Drivers, agents and institutions” including the verification of the indicators attached to the Country Profile. 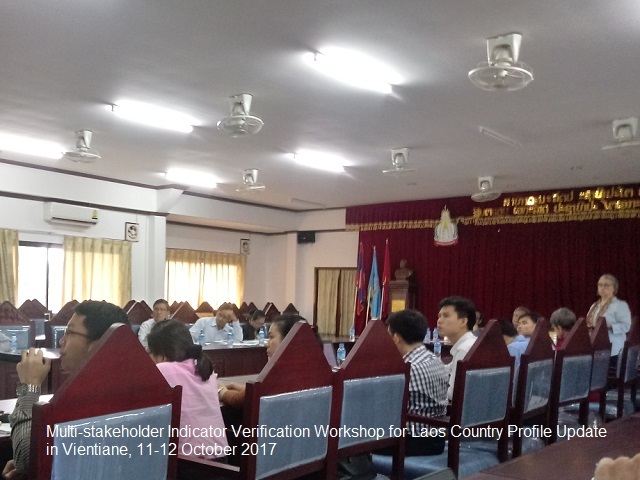 The objective of the workshop is to verify the indicators based on Laos context to be used in the update of the “REDD+ Country Profile in Lao PDR: Drivers, Agents, and Institutions” published in 2013. A technical writing team was formed after the workshop. This team will identify aspects of the country profile that will need updating and carry on the writing process.